Most Traditional Look that fits the design of any home. Build A Home / Guest House! 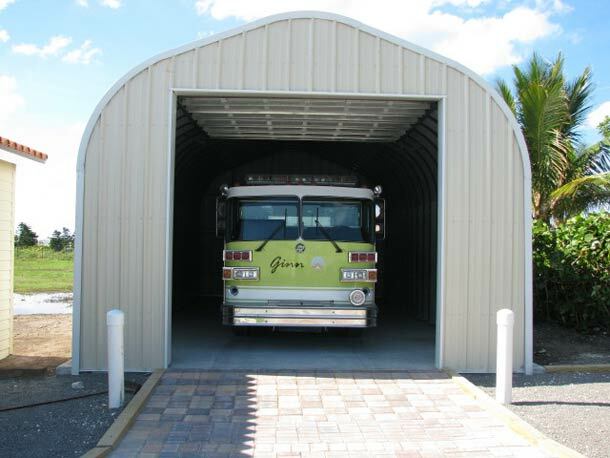 The P Series Quonset Hut metal building offers a more traditional building style with straight sidewalls and arched roof. It is the arched roof which gives your metal building the strength and durability that you can count on. 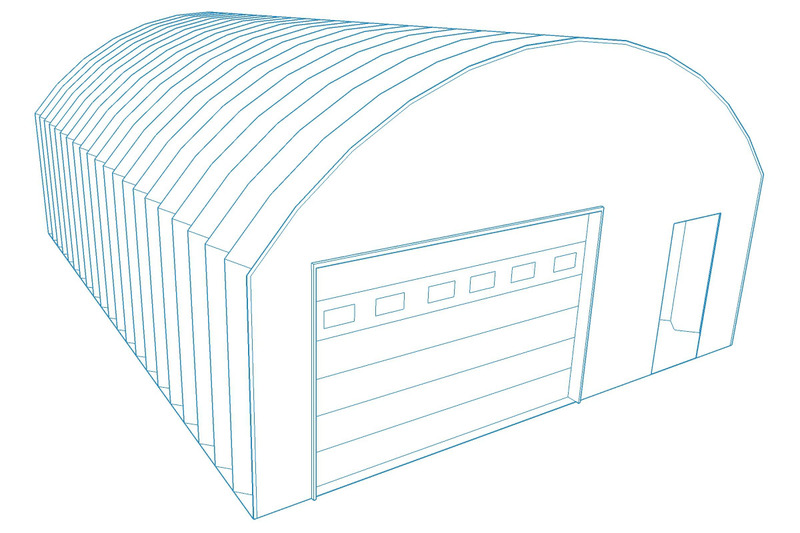 The P-Model Quonset Hut optimizes useable space by raising the arch above the sidewalls. 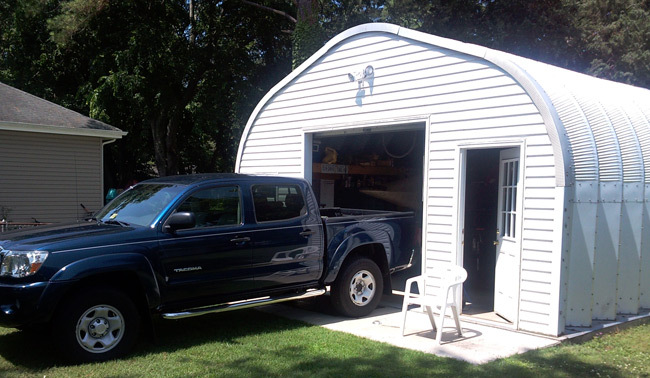 This provides you with plenty of room to house a backyard workshop, garage or even a guest cottage. Powerbilt P Series metal quonset huts come in unlimited lengths and either 14 or 30 foot widths. 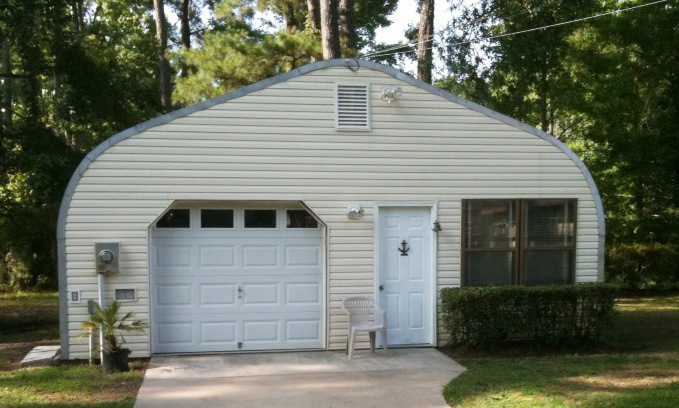 We can fully customize the building to match the side of your home.